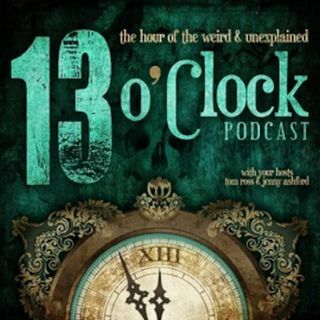 We welcome Jenny Ashford and Tom Ross back to she to talks about their show "The 13 O'Clock Podcast" We discuss a whole number of topics including Ed and Lorraine Warren, Amityville, The Villiscas Axe Murders, The Atlanta Ripper, Satanic Panic, and movies. We also get Tom grossed out (again) with the story of Carl Tanzler. In the intro we speak to Dr.Future about his views on Charlottesville.